Firm yet slightly springy to the bite, Ponni rice is easily prepared, versatile and a highly nutritious complement to any meal. The grains are recognized by its shorter, plump and almost round kernel. 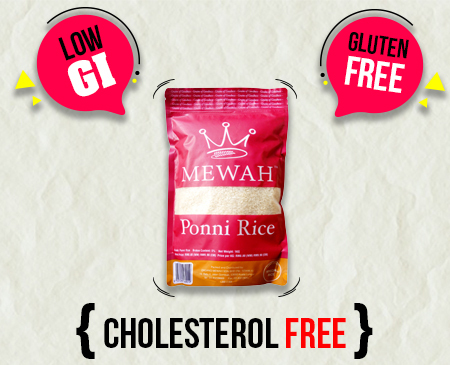 Finely processed and specially imported from India, our MEWAH Ponni Rice is perfect for daily consumption, healthy, tasty and famously served with spicy curries and all your favourite comfort food!